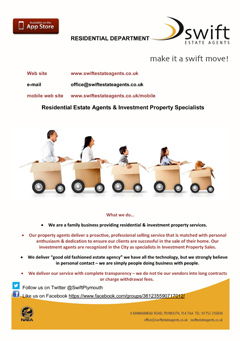 When buying property you can rely on Swift Estate Agents to provide the most up-to-date advice on local market activities, whether you’re looking for a first home, a project or a buy to let investment. 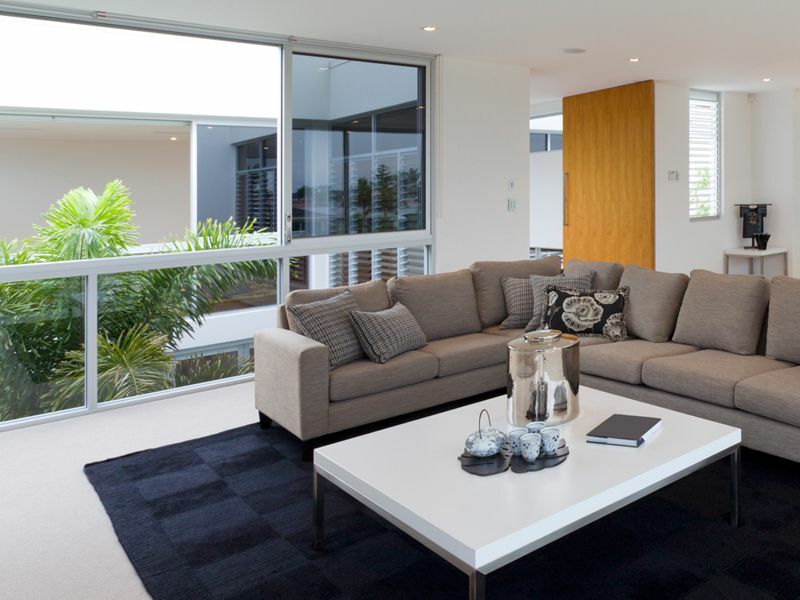 As an independent company we recognise the importance of customer care to potential buyers. We pride ourselves on helping people find the property they are looking for, providing a professional and personal service along the way. 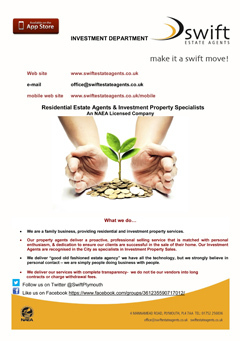 If you are looking for a house for sale in Plymouth we’re here to help. Then register with our team to find properties that match your needs.